When writing a business plan for a McDonald’s franchise it is important to demonstrate the in-depth understanding of the franchise agreement as all McDonald’s restaurants must operate in line with the “McDonald’s System”, a concept of restaurant operations that includes, among others, rights in trademarks, manuals, and other confidential business information, and operational, real estate, and marketing information. According to IBISWorld, McDonald’s has 37,000 restaurants in over 100 countries, out of which more than 90% are operated by franchisees, the remainder being company-operated stores. Generally, no financing arrangements are offered by McDonald’s. 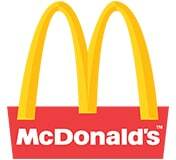 McDonald’s allows franchisees to open a new restaurant or purchase an existing one. The cost of opening a new restaurant generally includes a $45,000 fee, a down payment of 40% of the total costs of a new restaurant, and the average equipment and pre-opening costs of $1,611,040. The cost of purchasing an existing restaurant includes the price of an existing restaurant which varies on a wide range of factors such as sales volume and profitability, and a minimum of 25% cash down payment. Joorney Business Plans has experience in creating long-term financial projections for McDonald’s restaurants and understands the specifics pertaining to the initial investment requirements. McDonald’s in-house advertising and marketing departments develop overall strategy for the national programs and recommend them to franchisees. All McDonald’s restaurants must advertise and promote the restaurant to the general public and spend at least 4% of the gross sales on marketing annually. Joorney Business Plans helps in writing advertising and marketing strategies and developing budgets in line with the “McDonald’s System”. McDonald’s selects the site for location of a restaurant and negotiates the location’s purchase or lease. The choice of location is based on a variety of factors such as population density, traffic patterns, and competition. However, as McDonald’s cannot guarantee that the economic and demographic factors at a specific restaurant location will remain constant, Joorney Business Plans develops in-depth local market analyses with the expected local economic and demographic trends. A McDonald’s restaurant is required to comply with various local, state, and federal laws, including health and sanitation laws and menu-labeling requirements. Joorney Business Plan Writers have experience helping McDonald’s franchisees create a timeline of activities, including obtaining licenses, with a particular focus on the initial year, as per requirements of the investors and immigration services. All McDonald’s franchisees must complete a training program successfully before signing the franchise agreement. McDonald’s bears the cost of maintaining the Hamburger University and other training centers and provides instruction for the operation of a McDonald’s restaurant. However, a franchisee must cover all traveling, living, and compensation expenses related to employee training. Joorney Business Plans has experience describing and developing employee plans and linking the proposed individuals’ knowledge and training to their designated roles. If you are lucky enough to be selected as a McDonald’s franchisee, it is the opportunity of a lifetime. You get guaranteed return on investment due to their gigantic historical performance numbers and internationally recognized brand and not many franchises can compete with that. Joorney Business Plans have worked on hundreds of Franchise plans with Franchisors as well as their Franchisees!